Elyite: Mineral information, data and localities. Named for John H. Ely, an important figure in early mining history of eastern Nevada. 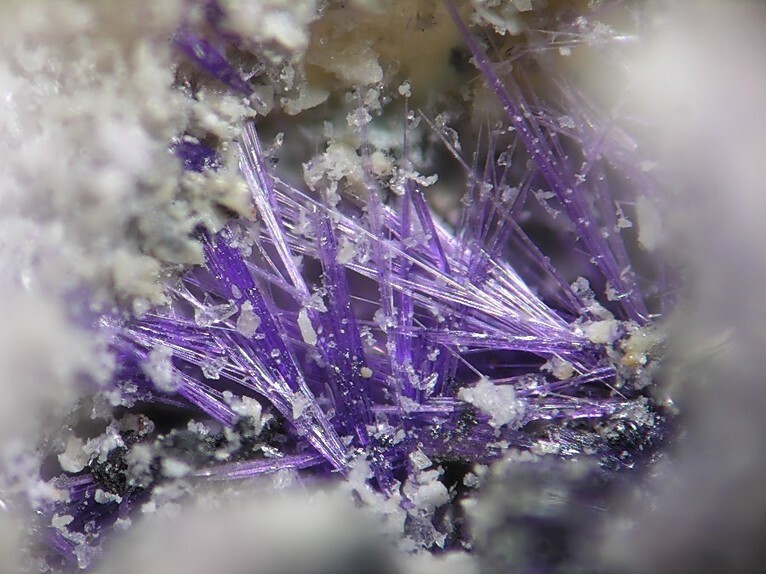 This page provides mineralogical data about Elyite. Voids in oxidizing Lead-Copper-Zinc sulfide ores. Caledonite 5 photos of Elyite associated with Caledonite on mindat.org. Chenite 5 photos of Elyite associated with Chenite on mindat.org. Lanarkite 2 photos of Elyite associated with Lanarkite on mindat.org. Cerussite 2 photos of Elyite associated with Cerussite on mindat.org. Schulenbergite 1 photo of Elyite associated with Schulenbergite on mindat.org. Serpierite 1 photo of Elyite associated with Serpierite on mindat.org. 1 photo of Elyite associated with on mindat.org. Linarite 1 photo of Elyite associated with Linarite on mindat.org. Chrysocolla 1 photo of Elyite associated with Chrysocolla on mindat.org. Litharge 1 photo of Elyite associated with Litharge on mindat.org. 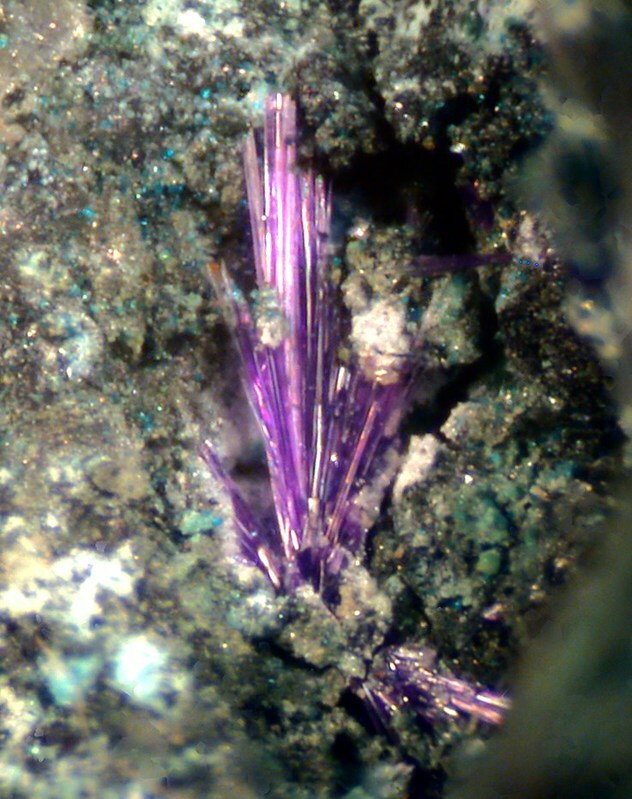 Williams, S.A. (1972) Elyite, basic lead-copper sulfate, a new mineral from Nevada. American Mineralogist: 57: 364-367. Miyawaki, R., Matsubara, S., and Hashimoto, E. (1997) Elyite from the Mizuhiki Mine, Fukushima Prefecture, Japan. Bulletin of the National Science Museum, Series C: Geology and Paleontology: 23: 27-33. Kolitsch, U. and Giester, G. (2000) Elyite, Pb4Cu(SO4)O2(OH)4•H2O: crystal structure and new data. American Mineralogist: 85: 1816-1821.
peter neschen collection; Niedermayr, G. & Wittern, A. (2009): Mineralreiches Österreich - Tirol, Salzburg, Vorarlberg. Bode Verlag, Haltern, 144 pp. Leon Hupperichs Collection; Blaß, G. & Graf, H. W. (1995b): Neufunde von Schlackenhalden in der nördlichen Eifel (II). Mineralien-Welt, 6 (3), 28-31. Vernay, R. (1997): Le Crozet (Loire, France). Le Cahier des Micromonteurs, 55(1), 9-22. ; Chollet, P. & Devouard, B. (2013): La mine de cuivre et de plomb des Rats, Le Crozet (Loire). Le Règne Minéral, 109, 7-46. KOLITSCH, U. (1997): Uranosphärit und weitere neue Mineralfunde von der Grube Clara im Schwarzwald. - Mineralien-Welt 8 (3), 18-26 ; KOLITSCH, U. (2000): Eine durch Betoneinwirkung entstandene Paragenese von Blei-Verbindungen aus der Grube Clara im mittleren Schwarzwald. - Erzgräber 14, 48-53; WALENTA, K. (1999): Neue Mineralfunde von der Grube Clara. 8. Folge, 2. Teil. 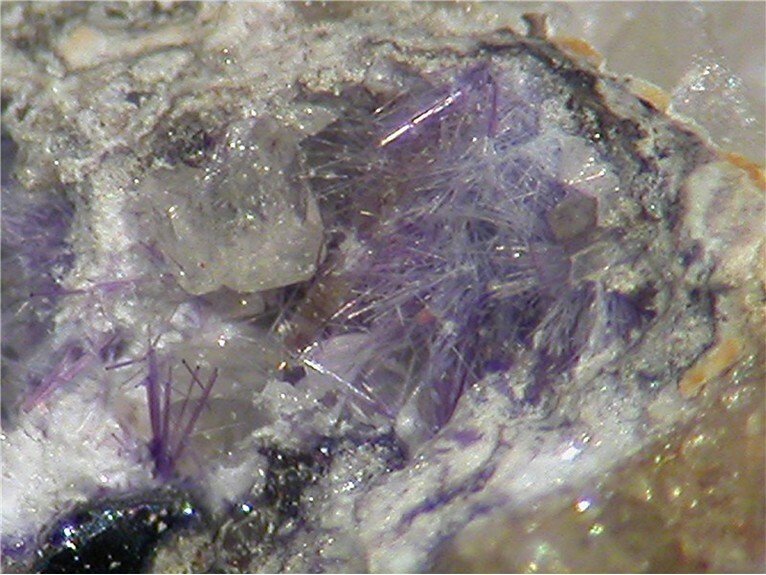 Lapis 24 (12), 40-44; U. Kolitsch, J. Gröbner, G. Blaß and H.-W. Graf (2007): Neufunde aus der Grube Clara im mittleren Schwarzwald (III): Cerianit-(Ce), Dravit, Florencit-(La), Gilmarit, Olenit und Scotlandit. Lapis 32, 19-23, 70. Elyite crystalIs found it in Sept 2012,Ko Jansen. Heckmann, H. & Schertl, H.-P. (1990): Der Niederbergische Erzbergbau und seine Mineralien. Emser Hefte, 11 (2), 2-40. Schnorrer-Köhler, G. (1988): Mineralogische Notizen IV. Der Aufschluss, 39, 153-168; Habel, B. (2006): Die Mineralien der Kupferschlacken der Grube „Virneberg“ bei Rheinbreitbach, Rhein. Mineralien-Welt, 17, (1), 38-49; Heinrich, M., Reinhardt, M. (2017): Virneberg, Rheinbreibach, Siebengebirge, Germania. I minerali delle scorie. Micro, 15, 2-2017, 104-107.
van Kalmthout, P. (2012): De slakkenmineralen van Lavrion (Gr.) - Ontwikkelingen na 1996, inclusief een archeologische ontdekking. GEA, 45 (1), 14-19 (in Dutch). Miyawaki, R., Matsubara, S., and Hashimoto, E. (1997) Elyite from the Mizuhiki Mine, Fukushima Prefecture, Japan. Bulletin of the National Science Museum, Series C: Geology and Paleontology: 23: 27-33.; Jambor, J.L. and Roberts, A.C. (1998) New mineral names. American Mineralogist: 83: 400-403. Calvo, M.(2014). Minerales y Minas de España. Vol. VI, Sulfatos (seleniatos, teluratos), cromatos, molibdatos y wolframatos. Escuela Técnica Superior de Ingenieros de Minas de Madrid - Fundación Gómez Pardo. 653 pp. Briscoe, P. (1986) Red Gill mine. UK Journal of Mines and Minerals, 1, 2-4.; Cooper, M.P. and Stanley, C.J. (1990) Minerals of the English Lake District: Caldbeck Fells. Natural History Museum Publications, London, 160 pp. (referring to Briscoe, 1986). ; Bridges, T.F., Green, D.I., Rumsey, M.S., and Leppington, C.M. (2008) A review of the mineralisation at Red Gill Mine, Caldbeck Fells, Cumbria, England. Journal of the Russell Society, 11, 29-47. S. Rust Collection. ; Livingstone, A. and Macpherson, H.G. (1983) Fifth supplementary list of British minerals (Scottish). Mineralogical Magazine, vol. 47, n° 342, p. 99-105.